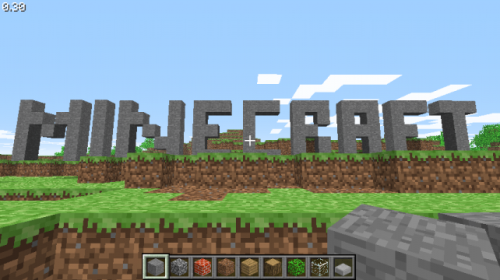 Minecraft doesn't have much of a story, but you can do whatever you want and can build a large variety of blocks, food, vehicles, and plants. The whole point of Minecraft is to explore, mine, build and create; and you'll never get sick of doing just that. You will fear the nights in Minecraft on easy, medium, or hard. The nights are twice as long as the days and you will never forget the sound of a creeper sneaking up on you in the middle of nowhere, or the sound of a zombie stumbling towards you. Some of the supplies you need to make certain weapons like a bow, you will need spider web to make the string. And if you don’t have some kind of shelter you WILL get killed from either a zombie, a pack of wolves, skeletons, a large group of spiders, or creepers. During the day is the time you would most likely want to mine, build, and explore. The only things that can attack you during the day are squid/octopus, and wolves. So having the peaceful setting on or off has its ups and downs. The graphics are good for an 8 bit game (Block game). The nights in the game make it very hard to see more than 5 blocks ahead of you unless you have the brightness turned up all the way. But during the day it is very colorful depending on where you are. There are mountains, forests (some burning down), desert, and snowy wasteland. The controls work but get confusing sometimes, because you are able to change the camera 3 different ways. 1 in 1st person, 1 in 3rd behind the player looking at the back, and 1 in 3rd person looking at the front of the player. The gameplay is good and can be set on peaceful, easy, medium, or hard. There is some combat when you are trying to fend for yourself during the night. Building is very easy, all you have to do is look for the right materials, get some wood from a tree, make a workbench where you can create anything in the workbenches menu, if you have the right materials. Craft as many as you can, then its just up to you where you want to build and using RT and LT to dig or break. The game will seem difficult at first but once you get the hang of the crafting it will become very addictive. The online is also very good as you can either go into other friends worlds or friends can come into your world. Sometimes the game will lag you out of your friends world, but is easy to get back in. The main point of the game is to explore, mine, explore, build, and mine again. You will get almost all of your resources from mining. Mining is much easier when you do it with others. The game is also has 4 player split screen. Overall, Minecraft is a very addictive game and I would recommend this to anyone who likes to explore, survive, and build.